Team soccer passing drills are about building teamwork, while at the same time improving passing accuracy and the right amount of pace on the soccer ball. This soccer passing drill will encourage players to use split passes with accuracy and pace on the ball. Defenders will try to cut off passes that are weak and inaccurate. Moving the soccer ball quickly, while using the correct passing technique, is the best way to keep the possession of the soccer ball. Place cones to make four squares with dimensions 4 m/yd wide and 8 m/yd long. Mark these squares with cones as seen in the picture. Instruct 2 - 3 players to take a position inside each square as seen in the picture. 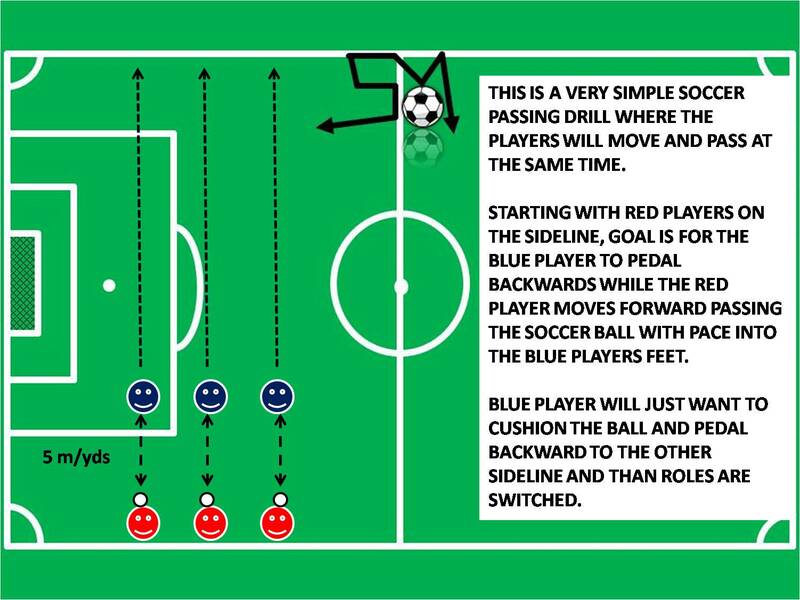 Red Players (#1, #2, #3 and #4) will attempt to make 15 consecutive passes, without leaving their box of play. Blue Players (#3 and #4) will try to stop the passes. Players chasing the ball will not have boundaries. When the pass is blocked, blue players (#1, #2, #3 and #4) try to keep possession, while red players (#3 and #4) become chasers. Players will rotate positions, so that every player gets to play chasers, or defenders. Players passing the soccer ball are not able to leave their square, so if the pass is soft, and cut off, it will be considered a change of possession. Passing players leaving the box will also be change of possession. For every 15 consecutive passes, players on the other team will do sprints, sit ups, push ups, or other punishment. Kick the soccer ball with pace. Lock your ankle, and position your body properly before attempting to pass the ball. 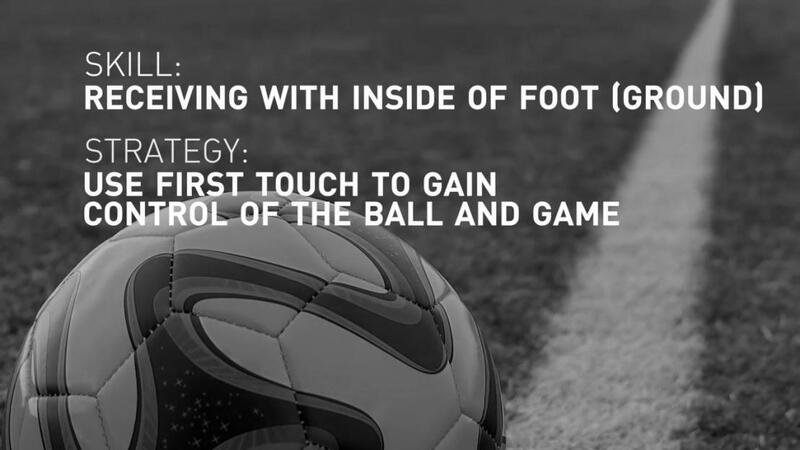 Allow passing the ball in the air, and on the ground. Keep the pace of the drill fast with possession change every time the soccer ball completely stops. 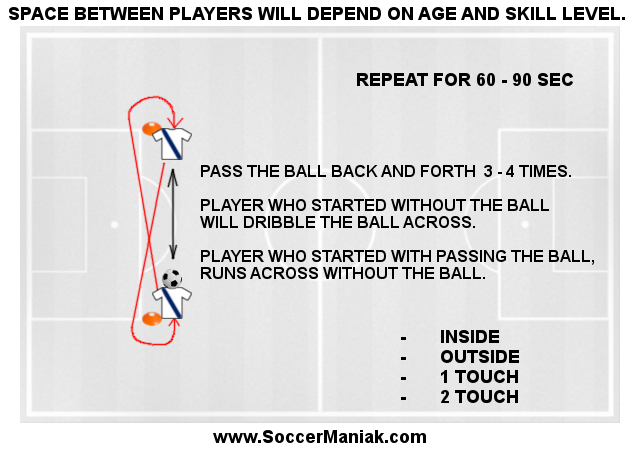 This will add more ball movement and urgency to pass and move the soccer ball. Add another soccer ball, so that the players have 2 balls to pass around the grid. Get creative and add any rule or alteration to the drill as you like. Keep training simple and try using the grid for this exercise and applying the same set up for running or other soccer drills.